I love A Christmas Carol. It is easily in my top 5 favourite books and I've read it many times. I also love Bolton Octagon Theatre, so I had high hopes for last night's performance and I really wasn't disappointed. Bolton Octagon is theatre in the round and this was a fairly traditional performance, with Charles Dickens' lines making me smile each time I knew they were coming and then heard them spoken aloud. The performance is family-friendly and nothing is too scary. My 7 and 9 year old boys were quite disappointed actually when Jacob Marley did not drop his jaw. The humour in the book is expanded and Scrooge especially was hilarious, making the whole audience laugh and giggle many times. A Christmas Carol is of course the story of Ebeneezer Scrooge, originally written by Charles Dickens in 1843 and portrayed and retold in their own style thousands (if not millions) of times since by everyone from The Muppets and Bill Murray to.... in fact, just everyone. The central set could be considered sparse, but it needed nothing else. The stage in the centre was Scrooge's bed, Bob Cratchit's desk and every room in the story, but it was also raised for Scrooge's flight with The Ghost Of Christmas Present, and lowered so amazingly effectively for his glimpse of his own demise. The curtain around the bed was perfect and was a great distraction for the set changes, carried out by the cast themselves. The actors aside from Scrooge played multiple roles, and the characterisation and acting was superb. Every member of the cast was distinct and believable, with some super quick costume changes and reappearances from a completely different side of the stage. The young actors really held their own, in spite of excellent performances from the more experienced members of the cast. They all seemed to work together as if they'd been doing it for years. Visual effects added so much to the performance. 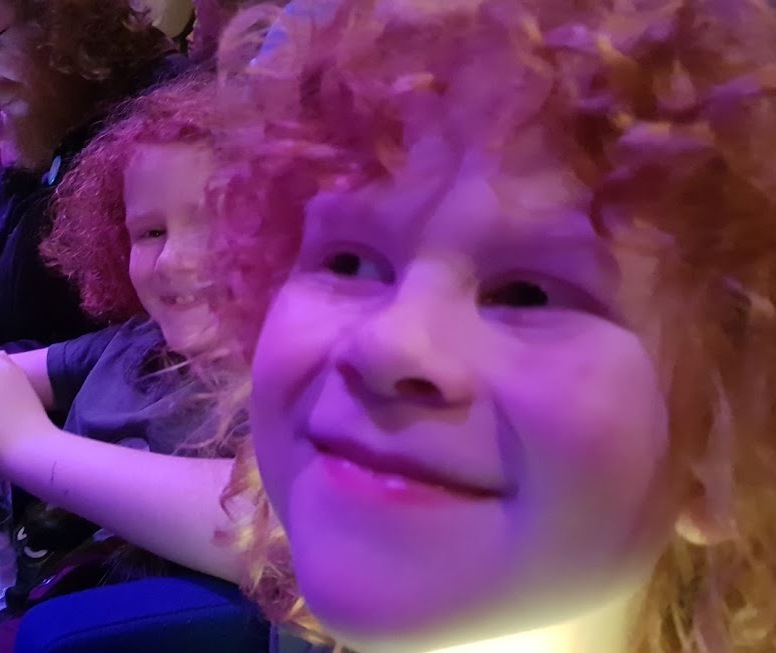 The view over the London slums was thrown against the walls, and the amazing effects when the ghosts were on stage delighted my boys. The lighting, projection and dry ice mist were actually breathtaking a couple of times and 'just like in a film' as my son said. Props were excellent - the signage for Scrooge And Marley and Fezziwig's worked so well, as did the Christmas decorations. The 3 ghosts were great. They are rarely depicted the same twice, and in this performance none disappointed. Jacob Marley was perfect, with his dragging chains and bandaged head. 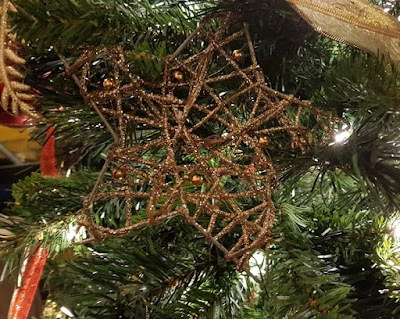 The Ghost of Christmas Past was rightly delicate and sylph-like with a beautiful glow just as I imagined when reading the story, in contrast to the gregarious and flamboyant Ghost Of Christmas Present who had an amazing headpiece which looked like intertwined trees and antlers with the moonlight behind. The more usual Death-like Ghost Of Christmas Yet To Come was instead depicted by a silent urchin girl - equally ominous, but not as scary for younger visitors. The music was one of the pure delights for me. The multi-talented cast played their own instruments and wove it into the performance almost seamlessly. The music itself was incredibly beautiful and uplifting, and the singing was great. The story is so emotive and the Christmas carols just finished me off. I was glad of the momentary dark towards the end to dry my face while no-one was watching. I loved it. I'd happily go back and watch the performance again tomorrow and my partner and boys agreed. It's a fabulous script beautifully executed and has plenty of humour, but plenty of deference. It will please traditionalists, but is totally accessible to today's children. I always try to be honest in a review and say any negatives, but I can think of nothing I'd change. 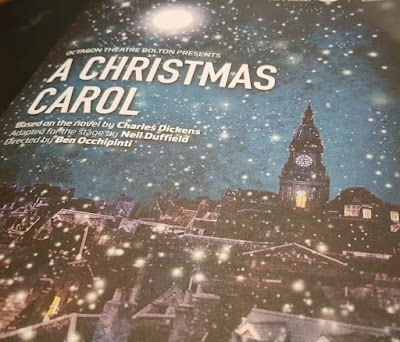 A Christmas Carol is playing at Bolton Octagon throughout the Christmas season until Saturday 13th January. It is really only suitable for children aged 5+, and lasts 1 hour 30 minutes plus a 15 minute interval. 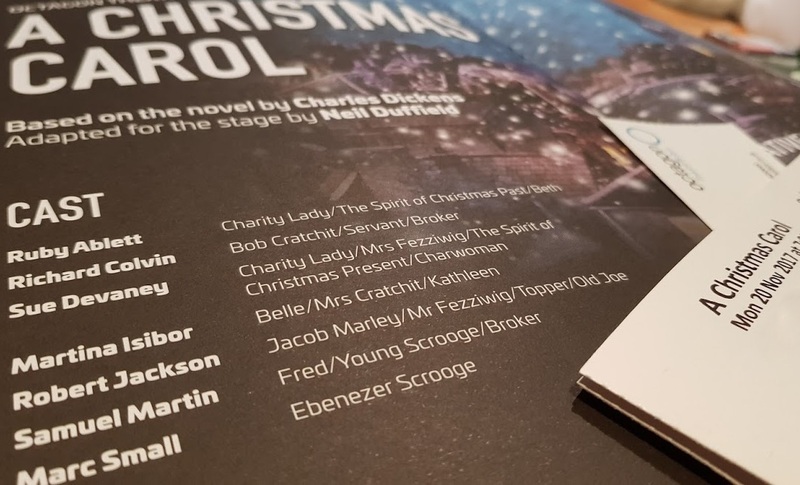 You can find out more about the show, the cast and book tickets (£12-£26) on The Octagon Theatre Bolton website or by calling in or ringing the Box Office 01204 520661. 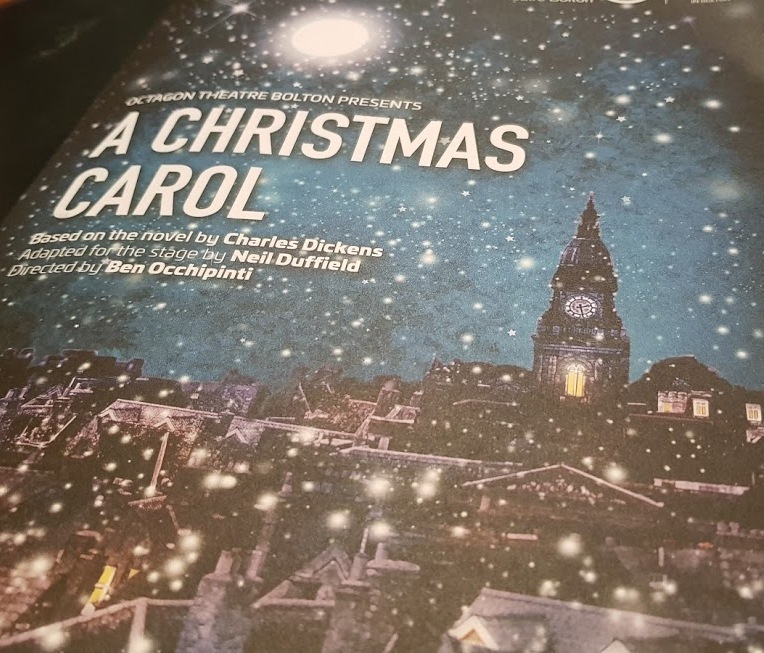 Our trip to Bolton Octagon Theatre to see A Christmas Carol was free for review.